Why not tell mom all of the things you love about her this Mother’s Day? 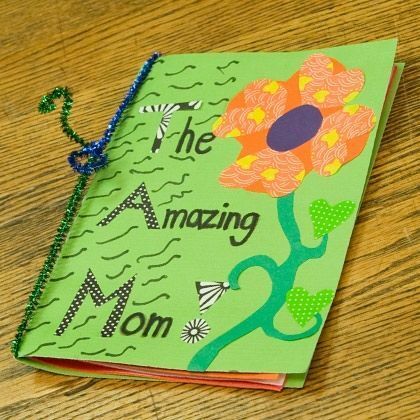 Do so in a creative and unique way with this “The Amazing Mom” book. This book is simple to make from string and construction paper. Fill its pages with creative stories about your mom or why you love her.